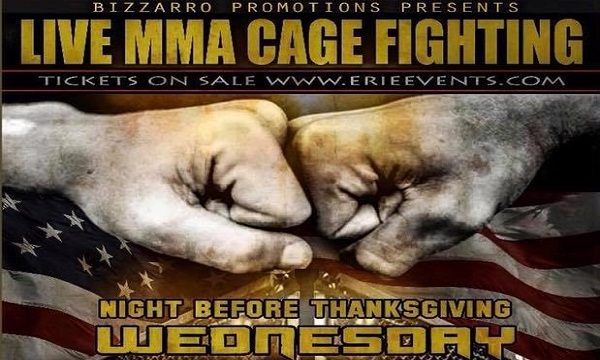 It will be a night of explosive cage fighting action this Thanksgiving Eve in Erie, PA as Ernie Bizzarro’s Bizzarro Promotions presents Bayfront Brawl IV. Damonte Robinson and Aaron Mitchell to wage war for the highly sought after 155-pound title in the main event the Bayfront Convention Center. Several other titles will be on the line inside the cage on Wednesday night, November 22. Headlining the show will be am evenly matched battle for the 155-pound title as Canton Ohio’s Robinson (4-1) takes on Fort Dodge Iowa’s Mitchell (3-1). Though each fighter comes from distinct backgrounds, both know the importance of the fight. Robinson was 5-0 as an amateur out of Mayanz MMA before turning professional. Mitchell, who grew up liking the sport a kid, is also is ready for the big night. The co-feature will be a give and take 170-pound battle of two fighters looking for their first victory as a professional as Logan Urban of Mentor, Ohio battles it out with Nashville, Tennessee’s Ravon Baxter. 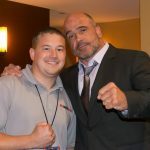 Urban fights under Griffon Rawl, while Baxter comes out of Swiftkick and Boxing. Liz Lewis (5-1) of Uniontown, PA returns to the Bayfront Convention Center to face Pittsburgh, PA’s Hope Chase in a battle for the coveted female bantamweight title. Erie, PA’s own Edwin Taylor (5-3) of the Self Made Savages, will battle it out with CMA’s Samuel Lemin (5-5) of Campbell, Ohio for the middleweight title (185 lbs). Two Ohio 125 pounders will do battle as Mentor, Ohio’s Jeff Offak (debut) of Griffon Rawl grapples with Emmanuel Brenner (2-0) of Mayanz fight team. A pair of undefeated 155 pounders will look to put the first loss on their opponent’s record as Mason City, Iowa’s Houston Conway (2-0) out of Estus MMA gets in the cage with Mentor, Ohio’s Eric Pozun out of Griffon Rawl. 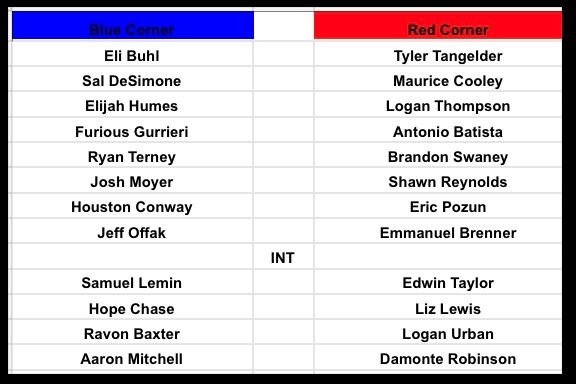 Indiana, PA’s Sal DeSimone (1-0) out of Elite Combat System will take on one of the Self Made Savages Maurice Cooley out of Erie, PA in a 135 pound war. Another Erie, PA native Antonio Batista (0-0) of the Self Made Savages will tangle with Mentor, Ohio’s Furious Guerrieri (0-1) out of Griffon Rawl in a 155 pound clash. A pair of Erie, PA 185 pounders will tangle for local bragging rights as Elijah Humes (1-0) of Humes MMA battles it out with 3 Element’s Logan Thompson (0-0). Two PA fighters will be making their debuts in the cage as Uniontown’s Brandon Swaney out of Uniontown Fight Club is set to do battle Ryan Temey of Cambridge Springs in a 170 pound contest. A pair of fighters will look to capture their first win as Shawn Reynalds (0-0) of Erie, PA takes on Pittsburgh’s Josh Moyer (0-1) out of Team Fit in a 205 pound tussle. In The opening bout of the evening, New York’s Tyler Tanglader (0-1) out of WMY MMA tangles with Erie PA’s own 170 pounder Eli Buhl (1-0) out of Humes MMA. Tickets are $30 for General Admission and $50 for VIP Ringside seating. Tickets can be obtained online at ERIEEVENTS.COM or by calling 814-452-4857.